Imagine Retirement® | Rockdale Financial Services, Inc.
At Rockdale Financial Services our mission is to help you become Retirement Ready! We are dedicated Retirement Planning advisors with more than 100 years of combined experience. Retirement can and should be one of the most joyous times of your life. So what is the first step? Plan it...so you can Live it! Together we will make a plan for you to get the most out of your retirement! Our advisors will engage you in an informative process that goes well beyond asset management. To start you will learn methods for not outliving your income in retirement. We'll design a comprehensive, cohesive Holistic Retirement Readiness Plan specifically for you and your lifestyle. 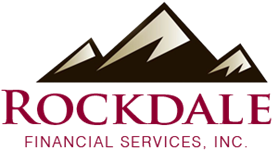 Rockdale Financial will monitor your plan and advise you of any adjustments that may be needed along the way. From working with hundreds of clients we know that retirement is not something static, it is much more dynamic than you may think! We are energized every day when we see our clients enjoying their retirement. That is why our experienced and trusted advisors are enthusiastically looking forward to working with you! Start here with a free initial consultation and learn how our Imagine Retirement® Analysis can change the way you look at retirement.